Bonus Chapter – Oda and the Great YamaDOOM! is now Live! An unlikely boy has dreams of being a hero. Oda is the star of this month’s bonus chapter. It’s time to awaken a hero! Tamashi Volume 2 is now Available ! After a sudden confrontation from a bratty light bearing child and a tough smoke controlling teen, Tamashi and Sui-mo must rely on themselves and their friends to overcome this troublesome duo. Whatever the outcome of this battle, the answers after are sure to bewilder them both. Bravery, willpower, and family lie at the beginning of their journey! Whatever is in store for Tamashi in the future, It’s going to be nothing but looking up! Make way for the new spinoff series staring Kazuki. 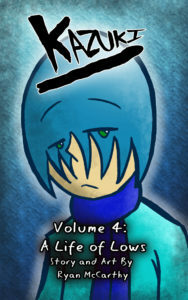 Here’s the cover to the first volume. 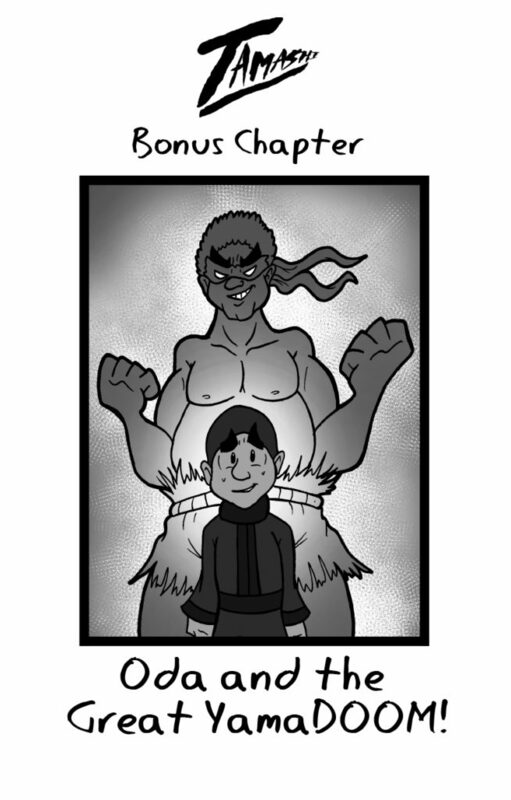 Tamashi Chapter 10 is Live! With the temple behind us, the second arc of Tamashi begins now. Get ready for food, maps, and… ghosts? 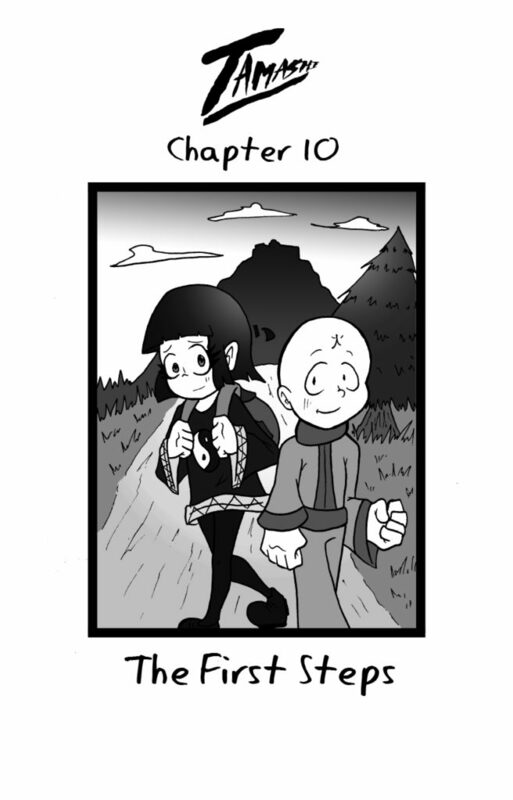 It’s Tamashi Chapter 10!